The City of Cape Town is hosting the third Waste-to-Art Market from 4 to 13 December 2013. This market is a visual celebration of the City’s commitment to waste minimisation, recycling, promoting entrepreneurship, and building a sustainable city. 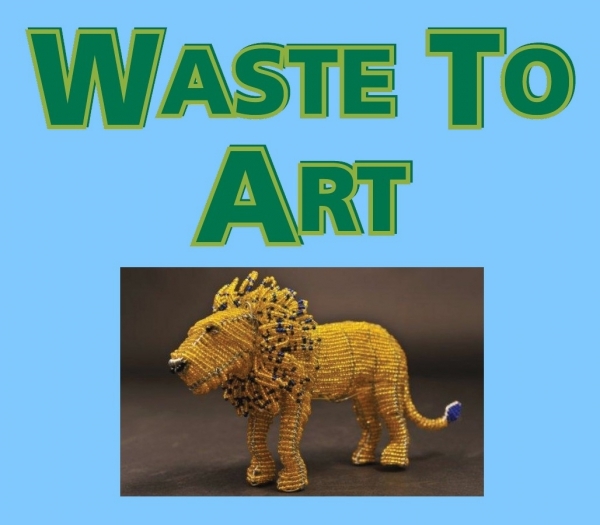 The City invites its residents to support the Waste-to-Art Market which will be held on Government Avenue in the Company’s Garden from next week. It brings together art and craft entrepreneurs whose products are made from recycled waste material. The market creates awareness among Cape Town residents, supports green entrepreneurs, and provides examples of how to reduce waste. ‘Recycling and waste minimisation are non-negotiable considerations in all modern urban centres, such as Cape Town. This sector also holds great potential for economic development and job creation. As a government, it is absolutely vital to concentrate on measures that will ensure a sustainable city in the future,’ said the City’s Mayoral Committee Member for Utility Services, Councillor Ernest Sonnenberg. The City was a gold sponsor of the recycling company PETCO’s international colloquium on waste minimisation and recycling – a two-day event held last week where 150 delegates shared their expertise on the subject of packaging recycling. The City, which was named the PETCO Recycling Municipality of the Year earlier this year, took the decision to become a gold sponsor for the event to benefit from having international experts on plastics, recycling and waste management on our shores. ‘The opportunity to engage with the delegation represented an invaluable opportunity to share the lessons we have learnt with other South African municipalities and to learn from our international colleagues,’ said Councillor Sonnenberg. Think Twice: Residents separate wet (organic) and dry (recyclable) waste at home. This means that the vast amounts of recyclable materials generated by households daily are able to be channelled away from landfill sites through the City’s recycling initiative and back into business. Home composting study: The City is currently assessing the findings of the study, which saw 700 home composting bins rolled out to households in strategically selected areas, in order to evaluate the feasibility of rolling out the project on a larger scale. Integrated waste management: Commissioned in September 2010, the Kraaifontein Integrated Waste Management Facility is the first facility of its kind in South Africa. Twenty per cent of Cape Town’s refuse is diverted away from landfill by means of the Kraaifontein Integrated Waste Management Facility. Recovery and processing of waste: In partnership with the private sector, the City’s material recovery facilities and composting plant helps to recover and process waste, diverting it away from landfill sites. Drop-off sites: The City operates 25 sites where the public can drop off garden waste and items that can potentially be reused or recycled. This material is sorted and a lot of it is used again. IWEX: The Integrated Waste Exchange programme is a free, internet-based programme with over 550 registered businesses. Recycling entrepreneurs: One of the City’s goals is to support and stimulate the recycling industry in Cape Town by empowering recycling entrepreneurs.